When you think of a non-recourse loan, you of course think of mortgages and buying a house through a self-directed loan (who doesn’t?) The non-recourse lenders at First Western Federal Savings Bank are perfect for helping you on your way to getting a non-recourse loan, but there’s actually many things you can do with your loan other than using it for residential purposes. While an IRA loan might be most known for acquiring some form of residential property, this type of loan can be utilized in any number of ways, for a number of properties. 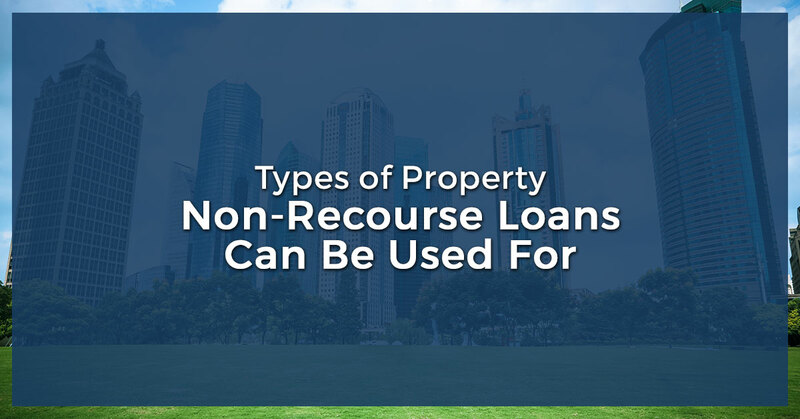 We’ll take a look in today’s blog at the types of properties you can acquire through a non-recourse loan, and how our non-recourse lenders can help you get there. First Western Federal Savings Bank is a Top Rated National® leader in the world of non-recourse lending and loans in general, and we would be honored to work with you. Learn more about different property types, and contact our non-recourse lenders today! In the event the words “non-recourse loan” bring about a look of puzzlement and/or some form of eye twitching, don’t fret. The more you are exposed to different forms of knowledge, the more you’ll grow in truly comprehending them, and non-recourse loans are no exception. An IRA non-recourse loan is, in its most basic form, an agreement. Your non-recourse lender will give you the loan (the money) you need to acquire property, and you will put up collateral as a way of promising to pay your loan on time. If you don’t pay your loan on time, the lender can take your collateral. In this event, you don’t owe anything else after your collateral is seized. You do not have to pay the remainder of the loan. Non-recourse loans can be a safer bet for the borrower. Additionally, you can use your self-directed IRA to invest in real estate. Read on to learn what types of real estate and properties you can buy with your non-recourse loan. As mentioned previously, this is perhaps one of the most common properties that can be purchased with a non-recourse loan. Many people work with non-recourse lenders to get a loan to help them buy some kind of residential property, such as a house. In addition to a house, condominiums and townhouses can also be purchased through a non-recourse loan. This is important to note, because oftentimes a house is not the most ideal purchase depending on the environment. In some cities, there are incredibly steep costs when it comes to home value—Denver, for example has a median home value of over $380k and is expected to rise over 3 percent in the next year. In Seattle, the median home value is almost $700k. Whether you have to move to a new city or you just want to, renting is still going to be incredibly expensive. In Seattle, the average cost to rent a one-bedroom apartment is $2,065 per month—over $24,000 a year. This means that you could be paying that much for rent, or you could invest in a cheaper form of housing that will offer you a significantly higher ROI. There is way more to be said for investing in residential property, especially in a highly desirable city. With a non-recourse loan, you could purchase a condo, apartment, or townhouse, and not only end up saving money, but potentially earning money as well in the long run. As we discussed in a previous blog, in order to effectively start a business, there’s a good chance that you will need some kind of building. Whether this is a storefront, an office space, or some other form of headquarters, your new business will need to house materials and employees, and at some point, your basement or garage just won’t do. In addition to buying commercial property to start up a business, you might also need a commercial property in order to accommodate a growing business. This is such an achievement in itself, so before you contact our non-recourse loan lenders, make sure you pat yourself on the back first. Regardless of if your business is growing or starting, acquiring the perfect commercial property is an essential piece to watching your business not simply exist, but thrive. Our non-recourse lenders can help you get the IRA loan you need for the commercial property you deserve. Talk with our lenders today to get started! As another form of residential property, a non-recourse loan can be used to purchase a multi-unit property. This means a multi-family home or an apartment building can be acquired through the use of an IRA non-recourse loan. Across the country, there is a growing need for residential options, so investing in apartment buildings can be a highly lucrative business deal. The insanely high cost of owning a house only continues to grow, and renting is an option that many people need to consider for the time being. Whether you’re considering getting a multi-family living space to rent out or an apartment complex in itself, our non-recourse lenders are here to assist you. A non-recourse loan can also be used to invest in agricultural property. A lease contract can also be implemented when crops or livestock are utilized on the agricultural property, and this setup can actually be used to help generate income. First Western Federal specializes in cashing out CRP payments in addition to being the nation’s leading non-recourse lenders, which offers another way for your agricultural property to provide supplementary income. Check out our page on CRP payments for more information! No matter which direction you go with a non-recourse loan, there are so many types of properties that can be yours through the help of our non-recourse lenders. Your future financial investments should not be overcomplicated, filled with financial jargon, and certainly should not be dealt with in an impersonal manner. First Western Federal Savings Bank will do everything in our power to make sure you get the care and guidance you deserve, and we are thrilled to get started. Give us a call today!